You cannot use the same medicine for every disease. Similarly, you cannot use the same shampoo for all hair problems. 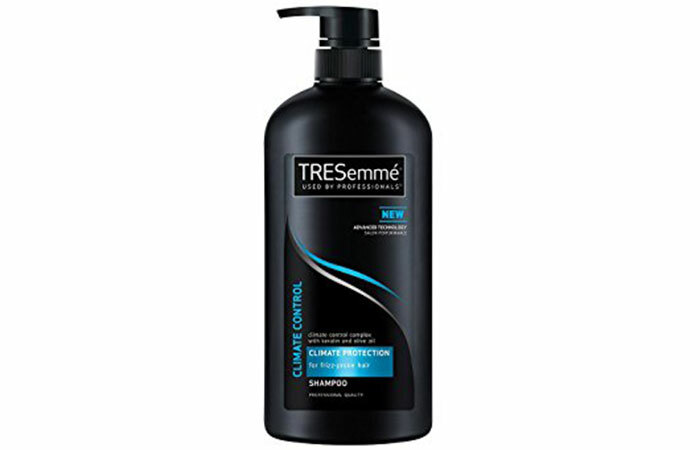 Luckily for you, TRESemme has come up with a wide range of shampoos to help you fight multiple hair problems. And to help you choose the right shampoo for the right problem, I have curated a list of the best TRESemme shampoos that target a range of hair nightmares. Scroll down! Are you in despair due to your dry and frizzy hair? 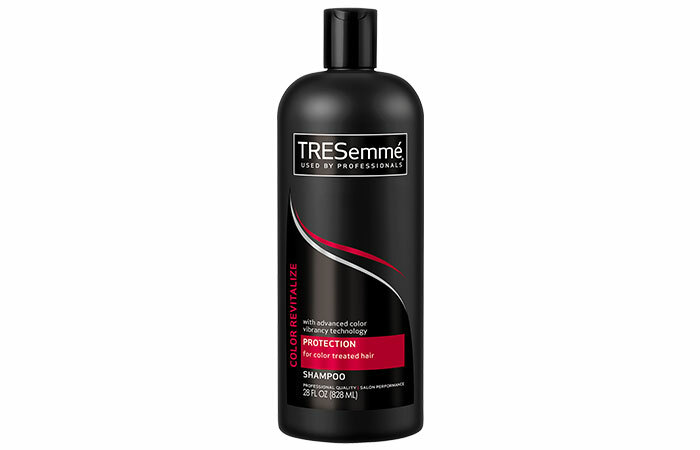 Worry not, Tresemme Smooth and Shine Shampoo is here to your rescue. Specially created for taming unruly and wild tresses, this shampoo will leave your hair looking soft and silky. It is formulated with vitamin H and silk proteins that help in intense moisturization. It also contains Moroccan argan oil that makes your hair ultra soft and shiny and reduces frizz. 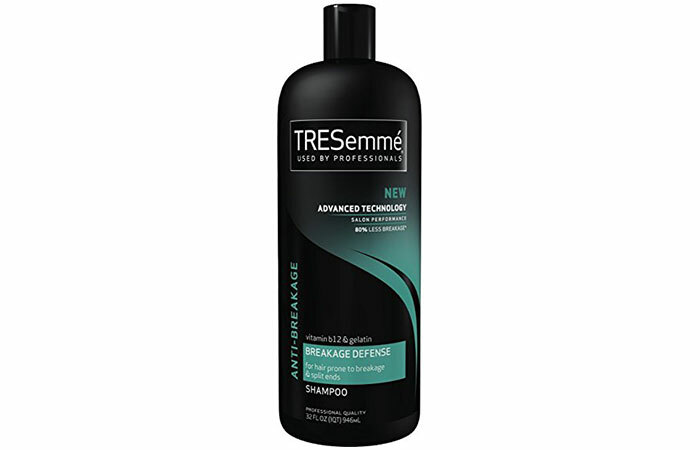 Even in uncomfortable, hot, and humid climates, this shampoo will not fail to deliver the desired results. When you run your fingers through hair, do you see a bunch of hair strands curled between your fingers? Is your comb collecting a lot of hair when you detangle your hair? These are the signs of severe hair fall. This shampoo restores strength even to the most severely damaged hair. To prevent breakage in the first place, your hair requires enough proteins that help in strengthening the follicles. This formula helps in reducing hair fall and provides longer, stronger hair. It contains high-end quality ingredients that ensure a much-improved version of your hair within a couple of washes. Everyone dreams of having long, straight, and frizz-free hair. 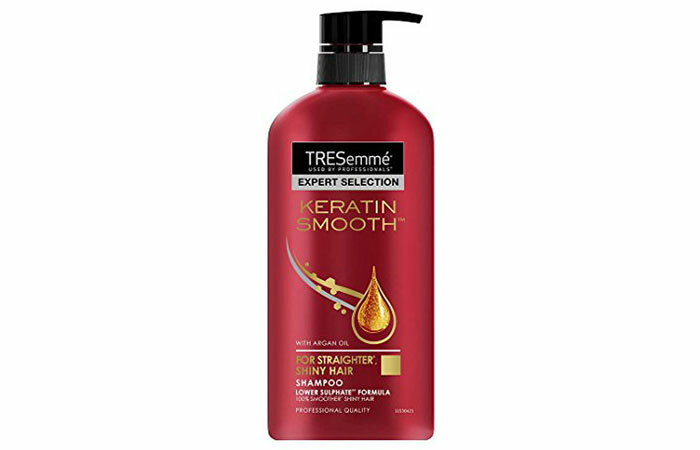 You can get it with TRESemme Keratin Smooth Shampoo. This product is perfect for you if you have the dual problem of frizziness and unruly hair. It not only tames wild baby hairs but also settles unmanageable tresses and gives you silky and smooth straight hair within the first couple of washes. The argan oil imparts a velvety texture to your hair, and the Keratin Protein treats severely damaged strands. Are you vexed with dry hair? Looking for an ideal shampoo to end your troubles? Then, you might want to add TRESemme Moisture Rich Shampoo to your hair care regimen. This product promises to restore vibrant shine to your hair while toning down dry and frizzy hair. It also retains moisture and hydrates your follicles. This shampoo fights dryness and provides required proteins for silky smooth tresses without weighing your hair down. If you are too busy to visit a salon but are in need of a spa treatment, you can opt for this shampoo to get a salon-like experience at home. With luxurious ingredients like marine minerals and essential nutrients, this shampoo contains all the proteins required for healthy-looking hair and a healthy scalp and nourishes hair from root to tips. With regular use, your dull and dry strandswill become soft and shiny. Are you feeling under the weather looking at your stressed tresses? Don’t worry. 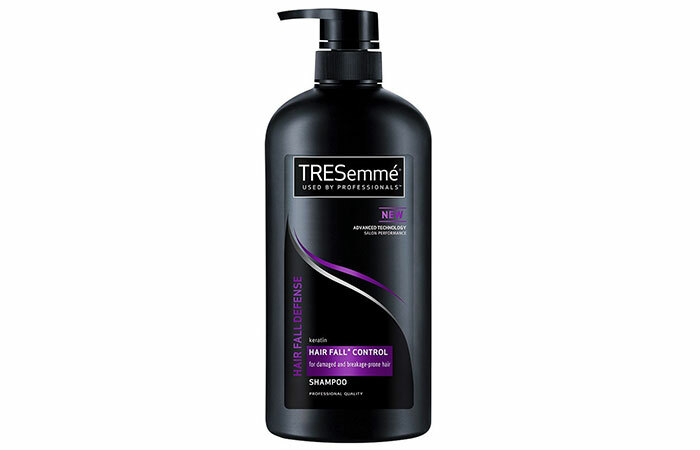 TRESemme Climate Control Shampoo claims to protect your hair by acting as a shield against any climatic conditions. Dust, pollution, and harmful UV rays can damage your hair internally. You can rescue your hair by using this shampoo. It contains keratin and olive oil that protect your hair from the harmful rays of the sun. It also provides proper hydration to the hair cuticles. Looking for a shampoo to strengthen your hair? Your search ends here! 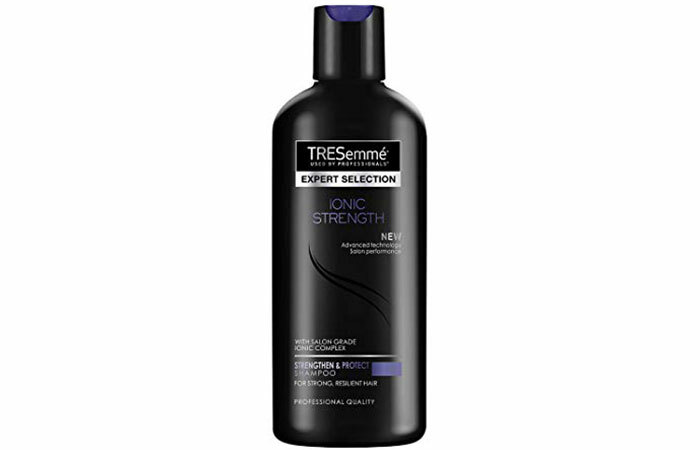 TRESemme Ionic Strength Shampoo is specially formulated to restore the natural strength of your hair. It contains Salon-Grade Ionic Complex that makes your hair stronger and healthier. It promises to repair damaged cuticles, giving you a renewed hair texture. This gentle shampoo not only strengthens your hair but also imparts radiant shine, fights dandruff, prevents hair fall, and tames tangled hair. Infused with botanical ingredients like olive oil and camellia oil, this shampoo claims to nourish your hair and soften dry ends gently. Crafted to perfection for sensitive scalp, this shampoo is great if you are looking for a natural and effective shampoo. The organic ingredients help in cleansing your scalp by removing any unwanted pollutants. It works well for curly hair types by eliminating tangles and frizz effortlessly. 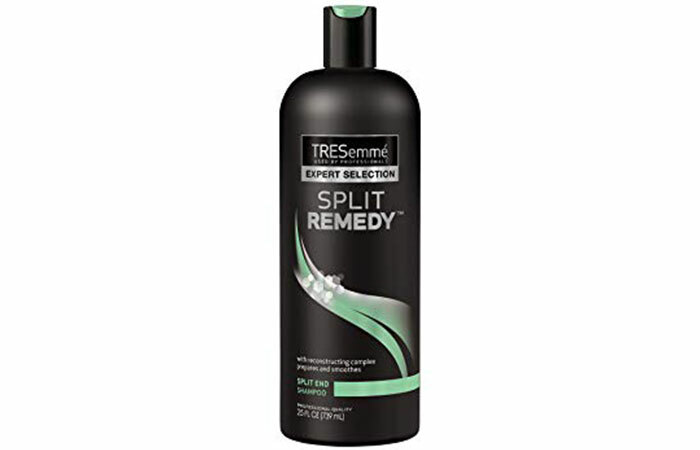 Tresemme Split End Shampoo is like therapy for your grieving hair. 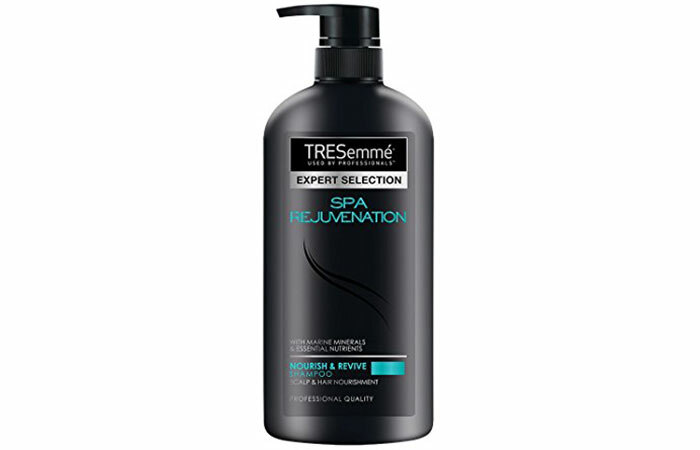 Created exclusively for severely damaged hair, this shampoo helps prevent split ends and removes the existing ones too. It is formulated with a blend of vitamins that restructure your hair shafts from within and reach the deepest roots to nourish them thoroughly. 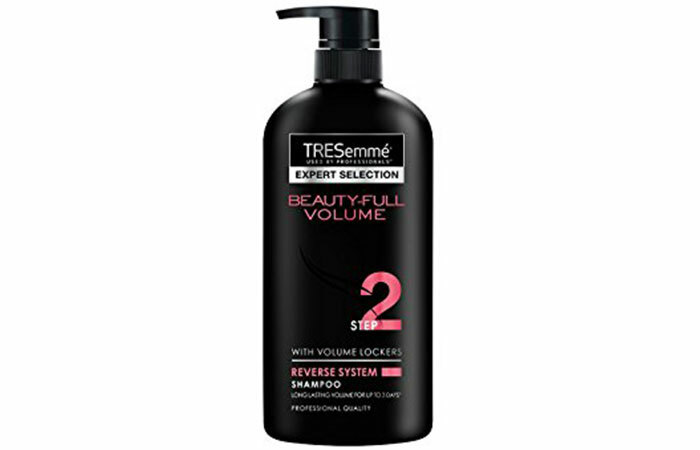 Tresemme Beauty-Full Volume Shampoo is specially formulated for fine hair types. It boosts the density of your hair and gives long-lasting volumized tresses. To get the best results, you need to condition and then shampoo your hair. The unique compounds in this formula enhance each hair strand, giving you fuller volume. Along with volume, this shampoo promises to beautify your hair by providing luminous shine and smoothness. Colored hair requires extra attention. TRESemme Color Revitalize Shampoo not only protects your hair color but also keeps it vibrant for up to 8 weeks. It also intensely nourishes your locks to get rid of dry and damaged hair. With the added goodness of green tea, rosemary, and sunflower extracts, this formula helps in replenishing and revitalizing your hair and keeps it moist and soft. This gentle plant-based shampoo is perfect for sensitive scalp as it contains carefully picked ingredients like ginseng and neem. It cleanses all the impurities from your hair, giving you healthy-looking locks. It claims to clear the daily built-up residue that obstructs your hair in many ways. 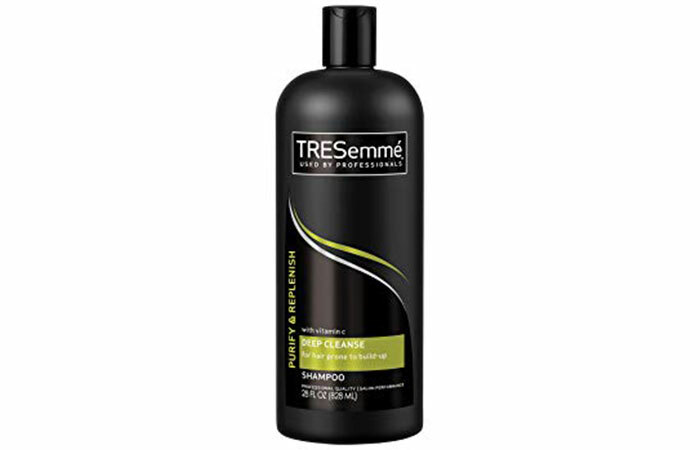 This shampoo is the best fit for weak and brittle hair as it strengthens your hair and improves its texture tremendously. Since it does not contain parabens and other harsh chemicals, it is safe for colored hair. 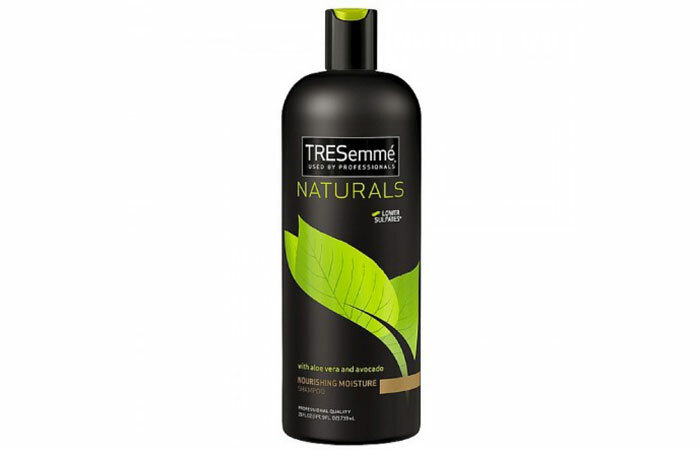 TRESemme Naturals Moisture Shampoo contains aloe vera and avocado oil that provide intense nourishment to your hair. This shampoo is perfect if you are looking for a herbal shampoo infused with luxurious ingredients. Since it is silicon-free, you can add this gentle shampoo to your daily hair care regimen. It claims to free your hair from frizz and dryness and cleanse all the dirt away. The subtle ingredients in this product are safe for colored tresses and all hair types. It promises to deliver 10x stronger hair in just a couple of washes. 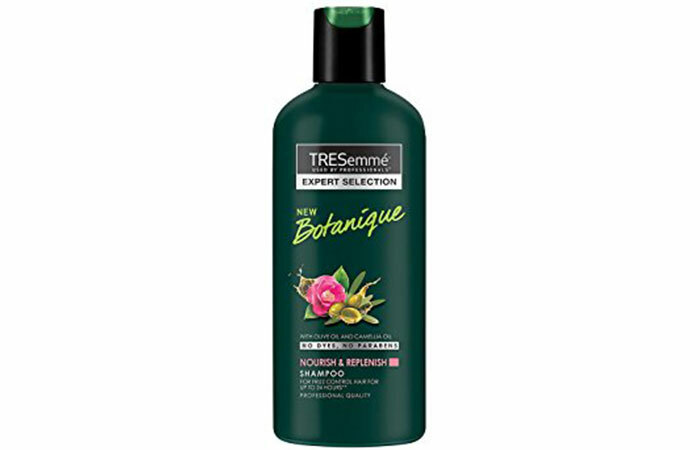 Here’s an ideal shampoo for reducing breakage. It promises to restore and revitalize dry and rough hair. This shampoo will hydrate each hair strand and make it silky and frizz-free. It claims to reduce breakage by up to 80% within one use. Its gelatin and vitamin B12 content helps repair damaged tresses. On the outside, your hair might look flawless, but are you aware of the amount of dust that resides on your scalp? A healthy scalp is the foundation of your entire mane. 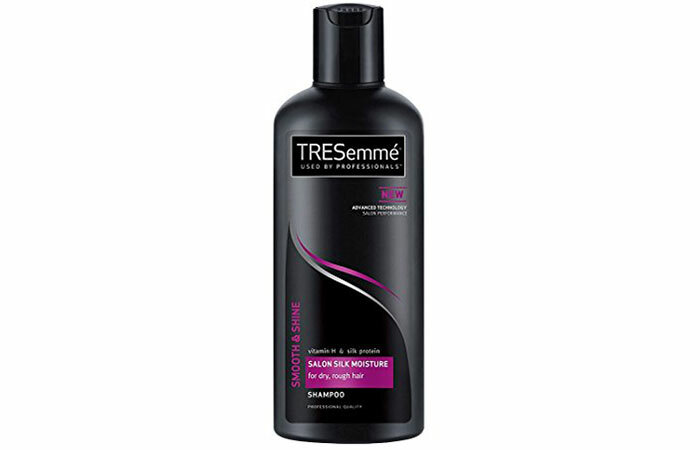 Opt for this shampoo as it removes all the built-up residue that obstructs your hair growth. The vitamin C in this shampoo will replenish the roots, and the extracts of grape and lemon will deeply hydrate and add moisture to them. Now that you know the secret to flawless, luscious and luminescent hair, what are you waiting for? Choose the perfect product that fits you best from this list and comment below to let us know about your experience. Keratin is everywhere! Be it in magazines or on social media or the TV – everyone is talking about this miracle protein. Why are people going gaga over it? How does it help your hair? Scroll down to find the answers to these questions.